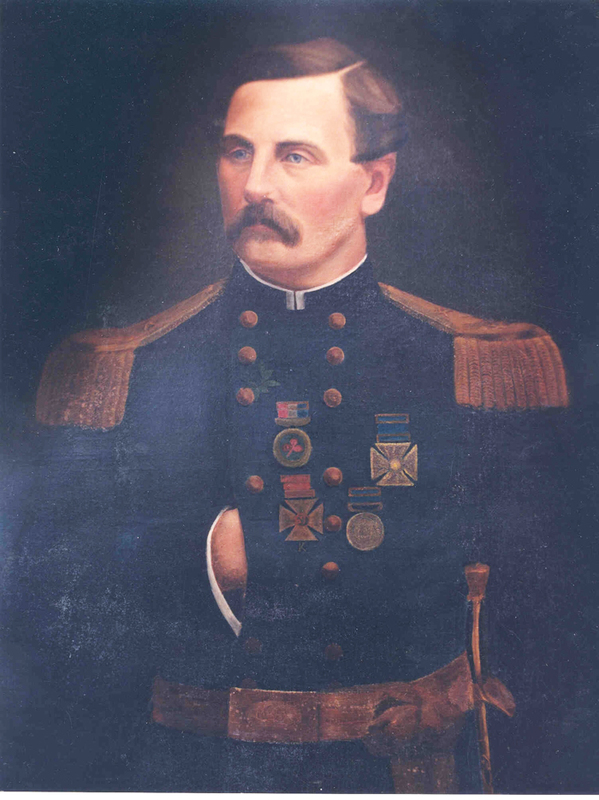 Meagher’s Father, Thomas Meagher, was the first post-reformation Catholic Mayor in Ireland. They lived in a gracious old mansion on the Quay, now the Granville hotel, which is where Meagher was born and spent his childhood. Meagher went to primary school at Mount Sion, the birthplace of the Christian Brothers, founded by Blessed Edmund Rice in 1802. He furthered his education at Jesuit’s College of Clongowes-Wood and at 15, he was the youngest medalist at the Debating Society. He furthered his education at Stonyhurst, Lancashire, England and left with the reputation of being one of the greatest rhetoricians it ever produced. In 1841, Meagher won a silver medal at Stonyhurst for an anti-slavery essay he wrote. Popular speaker of the Repeal Association, an Irish independence movement. At 23, he delivered his famous sword speech to the Repeal Association. Founder member of the Irish Confederation dedicated to Irish independence. Unveiled the Irish Tricolour for the first time in March of 1848 from the Wolfe Tone Club in Waterford City. Presented the Irish Tricolour in a speech to the citizens of Dublin at a banquet in April 1848. Sentenced to be hung drawn and quartered for sedition following Young Irelander rebellion. Sentence commuted and banished to Tasmania for life. Escaped from Tasmania to a heroes welcome in New York. Became a prominent lecturer and news paper editor in New York. At the outbreak of the American Civil War Meagher formed Company K of the New York 69th Infantry regiment. Meaghers Irish Brigade fought with distinction throughout the course of the war and gained praise from friend and foe. After the war Meagher would become acting governor of Montana and develop the first constitution of Montana a major step towards statehood. Died in mysterious circumstances on 1st of July 1867.